According to a press release by the Department of Justice, William Whittington, 68, of Arizona, was sentenced to serve 18 months in a federal prison for filing a false tax return. According to court documents, in 2010, Whittington received income from foreign bank accounts. He did not report such income on his 2010 individual tax return. Additionally, Whittington’s business, Springs Resort and Spa in Pagosa Springs, Colorado, paid Whittington’s personal expenses totaling $1 million. He also failed to report those payments as income. To make matters worse, from 2003 through 2010, Whittington failed to report nearly $10 million of income from bank accounts that he controlled in Liechtenstein. Once a famous racecar driver, Whittington’s run in with the IRS and Department of Justice isn’t his first. Back in 1987, he was sent to prison for tax evasion and the illegal importation of marijuana. In addition to his 18-month prison sentence, Whittington will serve a year of supervised release. As a condition of his guilty plea, he paid the IRS restitution in the amount of $1.8 million. This story showcases two common areas of tax enforcement through IRS and state tax audits and criminal investigations. First, Mr. Whittington failed to report income related to foreign bank accounts. The IRS has spent the past decade dropping the hammer on taxpayers with foreign bank accounts that have not been reported the mere existence of the account in accordance with Foreign Bank Account Reporting (FBAR) laws. Non-reported foreign income combined with non-filed required foreign information returns is still a great way to face criminal prosecution. Second, Mr. Whittington used funds that he did not pay taxes on to pay his own personal expenses. Many of the stories that our blog brings to you are those that involve a taxpayer that has unjustly enriched themselves and failed to include such funds as income on their personal tax returns. Both of Mr. Whittington’s transgressions may have been preventable if he were to have sought the counsel of an experienced tax attorney. With regard to his foreign bank accounts, a tax attorney with extensive experience assisting taxpayers to voluntarily come into compliance with FBAR provisions might have been able to help Mr. Whittington voluntarily disclose his foreign financial holdings, pay back taxes, interest, and a penalty to potentially avoid criminal tax prosecution. Additionally, a criminal tax defense attorney with experience in business taxation might have been able to structure the payments by his company as dividends, which may have been taxed at a lower rate. The moral of this story is that every person’s tax situation is different. But willingly breaking the law to avoid paying tax is not an effective strategy. An experienced tax attorney who is trained in audit and investigation defense can also help you plan for questions by the IRS and state taxing authorities. The best way to defend against a tax examination is to ensure that you are in compliance with the law. A tax attorney can help you implement an effective tax strategy while keeping your activities legal. If you are being audited or investigated by the IRS, it is in your best interest to contact an experienced tax attorney as soon as possible. The sooner you are represented by an experienced advocate, the better your chances of resolving the matter without a criminal prosecution or harsh monetary penalties. 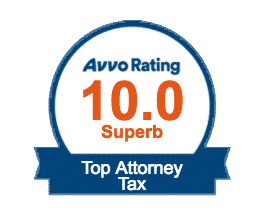 The tax and accounting professionals at the Tax Law Offices of David W. Klasing have extensive experience representing a diverse group of taxpayers involved in a myriad of different civil and criminal tax issues. Whether you are under examination by the IRS or state taxing authority, your small business is the subject of a sales tax audit, or any other tax-related matter, our professionals are ready to zealously advocate for you. Do not let the IRS keep you up at night. Contact the Tax Law Offices of David W. Klasing today for a reduced-rate consultation.